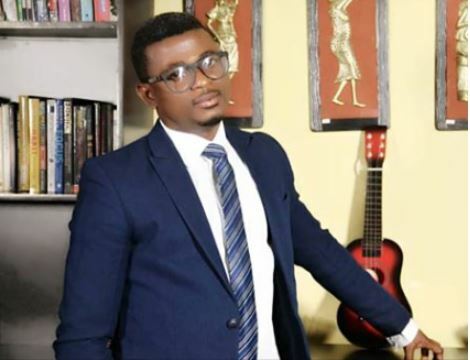 Samuel Olatunji aka Big Sam, one of the ace Public Relations specialists in Nigeria, has told a stunning story about himself, startling his followers. According to Samuel, he once thought about killing himself some eight years ago when things went really bad for him in business. He explained that he lost many things and was battered financially. However, when he thought about suicide, he eventually managed to drop the idea and life changed for him. About eight years ago, I never used to get broke. The least I would have per time would be 100k (when Im broke). I moved to a bigger office and started to dream of conquering more territories. But life had other plans. Life started happening to me. All of a sudden, I started getting broke to the point of not having N1000. Business started dying, my so beautiful life began to witness the ugly side of it. I was flummoxed, scared, and tired. I initially thought I got my planning wrong, I replanned, restrategize and read all the books I could. Let me not forget the many days of fasting, I prayed. Perhaps I had sinned. I stayed away from sins and friends that could lead me into temptation. I worshipped and did all spiritual works, yet things were the same. I started failing in meeting my basic obligations, started owing salary and was owing two banks. It was as if all elements of life combined to deal with me. Heaven was shut. I became lost. People that ought to understand became rumour mongers. I was down and out. My life became a hot mess. I could not even pray anymore, my heavy heart couldn’t put words together. Everything was static. I wanted peace yet chaos was all I had. One Sunday morning as I was preparing to go to church, I thought suicide would be a better option. Thought ending it all would be better. I will at least have some measure of peace, the peace I desperately wanted. Somehow, I didn’t follow through with the plan to kill myself. I made some major decisions and let God play his role as God. I left the office and worked day and night. God came through as usual. I have gone on to handle PR for major events and celebrities, manage special talents and two movies I executive produced (The Ghost and The Tout (co-owned) and Seven and a Half Dates were part of top 20 box office hits of 2018). If I had killed myself. Many dreams would have died. There would be no new chapter to write.